On January 23, The Palais Montcalm, in Quebec City, hosted the 15th edition of the Quebec City Mérites d’architecture ceremony. On this occasion, among approximately one hundred applications, 20 awards were granted by the jury. 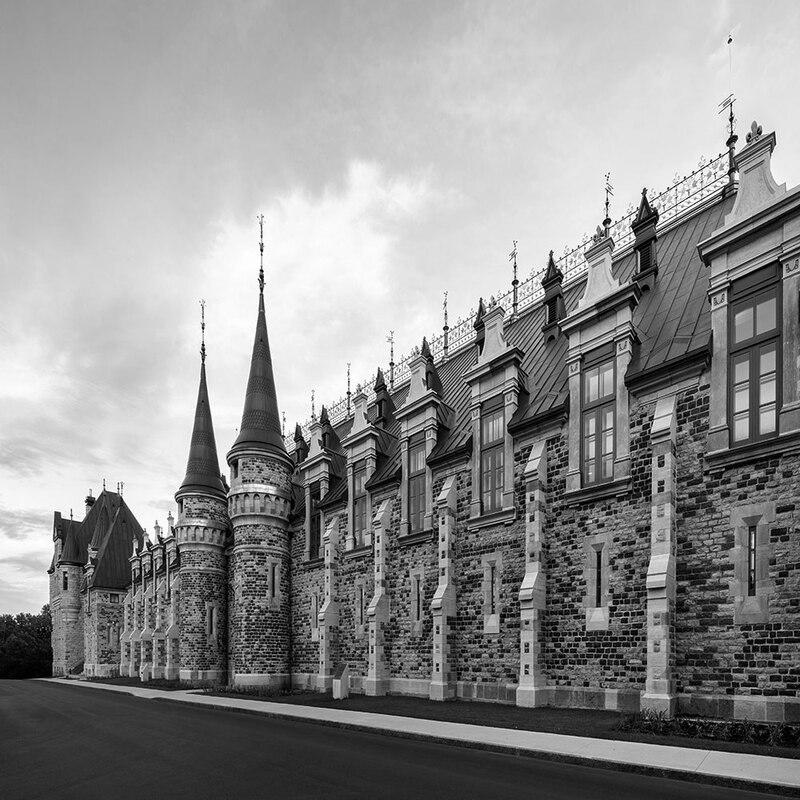 Architects STGM Architectes/DFS inc./A49 received the most prestigious awards: the public award as well as the special award of the jury for the reconstruction of the Voltigeur of Quebec Armoury, a Canadian historic monument. The building received the highest heritage designation that can be granted to a federal building by the Minister of the Environment. “The Armoury reconstruction fosters the heritage preservation while respecting its integrity, as designed by Eugène-Étienne Taché in 1885, and gives it a new life through a contemporary touch,” said the jury. 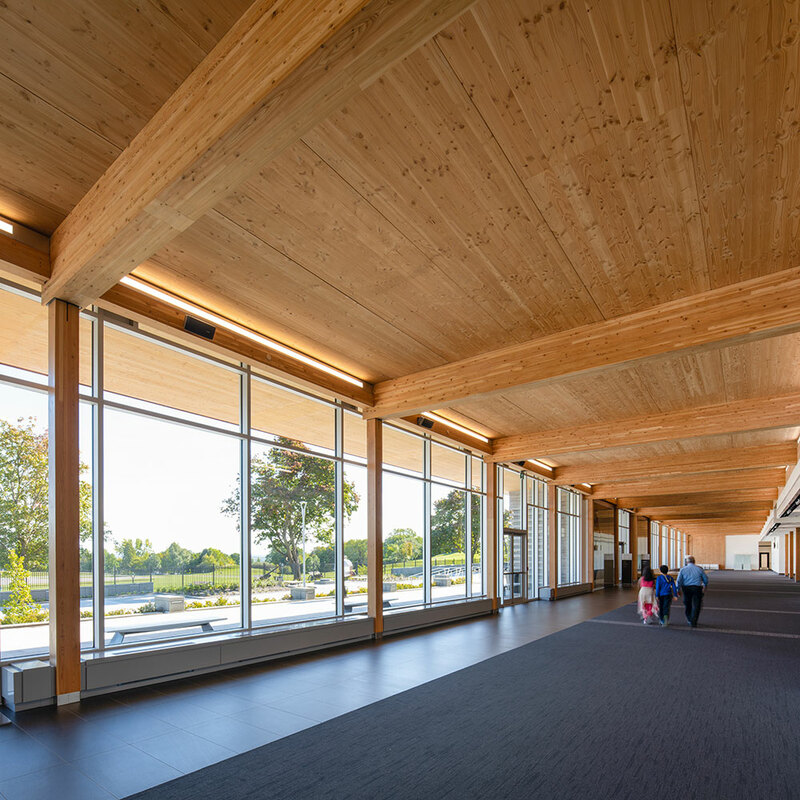 Structure Fusion provided 15 glulam trusses of 98 feet long by 17 feet high totaling 96,000 lbs. The key to the success of this major project was the collaborative approach between the architects, the general contractor and the engineers. During the night of April 4 to 5, 2008, a fire caused significant damage to this historic monument which had been home to the oldest, still active French-Canadian regiment. Ten years later, on April 26, 2018, the building reopened its doors in the presence of Canadian Government officials. M. Eugène-Étienne Taché, Quebec architect to have designed, apart from the Military Armoury, The Quebec Parliament Building, as well as the previous Quebec Courthouse.